The sun is shinning and the temps are rising and we couldn't be happier. Oh wait, yes we could! 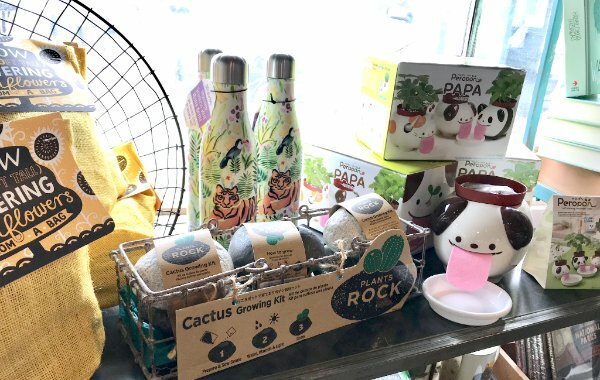 A new supply of adorable garden goodies have hit the shop just in time to plan your gardens and bring the spring inside! We are obsessed with these crazy adorable Peropon Planters which are cute ceramic dogs and cats with long pink felt tongues that lap up water to feed the plants on their backs. So flippin' cute. We also have these tiny ceramic Hedgies that also grow plants on their backs. They're perfect for keeping at your office to bring a little springy sunshine into your life! Come see all of our other new garden themed goodies in-store. Yay spring!